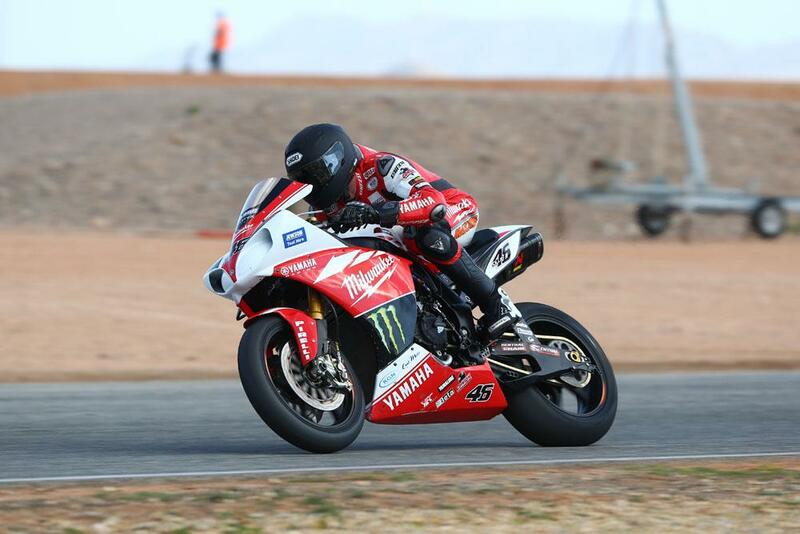 Tommy Bridewell has cemented his position as a 2014 MCE British Superbike championship contender, setting a blisteringly fast lap right at the end of day two of pre-season testing at Cartagena in Spain today. The Wiltshire rider was able to take advantage of a clear piece of track in the closing stages of the day’s final session to finish the day a second faster than new Milwaukee Yamaha teammate Josh Brookes. Brookes and Bridewell will finish their test at Cartagena a day early, before a rest day and then onto a second Spanish test at the Alcaraz circuit, with Bridewell citing fading concentration levels with the change venue. Please note: no official timing is available and all times provided by teams.